The LLA will have a promotional booth at the Spring Chicken Festival on Saturday, April 28th from 9:00AM-4:00PM in downtown Gainesville. There will be a parade with floats, a chicken cook off, and lots of other fun things going on at this event. We will hold a members only raffle for a $100 gift certificate to our e-store. Please stop by the booth and enter your name in the raffle for a chance to win! The first member social of the 2012 season will be held on Saturday, May 19th at Sunset Cove at Lake Lanier Islands from noon until ???. Look for an LLA sign on the beach area of Sunset Cove. Please join us for fun and camaraderie with other lake minded individuals. Invite your friends so they can learn more about the LLA. The 10th annual LLA fundraiser golf tournament will be held May 21st at Legacy on Lanier golf course at Lake Lanier Islands. Player and sponsor opportunities are available. Please see our website for more information. The 2012 Annual Member Meeting will be held at Gainesville State College-Oakwood Campus on Thursday, May 24th. From 5:00-6:00PM there will be a Meet and Greet session with many of our local elected officials and candidates running for office. Concurrently, there will be a business expo for members to speak to local lake related businesses. The regular business meeting will take place at 6:00PM. ATTENTION LLA BUSINESS MEMBERS: you are invited to participate in the business expo portion of the annual meeting at no extra charge. You may bring promotional materials or handout items to let LLA members know about your business or services. There is no charge for this promotional opportunity, but it is limited to our business members, and reservations are required. Space is limited and will be allocated on a first come, first serve basis. Please reply to this email or call 770.503.7757 to reserve your space. The LLA website has been redesigned to be more user friendly in terms of navigation and finding information. Plan now for a fun day of golf at the beautiful new Legacy on Lanier golf course. Enjoy stunning views of Lake Lanier and play a course designed to appeal to golfers of all levels. 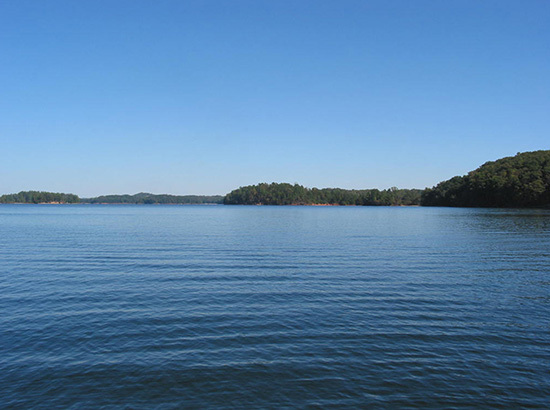 Your support of this tournament will support the Lake Lanier Association in fulfilling it’s mandate of protecting the lake through it’s programs of education, action and advocacy. Thank you for your support. All dues and donations are tax –deductible under IRS 501 (c) (3) not for profit tax code, to the extent of the law. The Lake Lanier Association’s 9th Annual Golf Tournament continues the tradition begun by our board member, Jaime Baray, who is always in our hearts and thoughts. Download the 2010 Lake Lanier Association Golf Tournament Registration Form.